Major League pitchers basically have two ways of getting batters out. You can either dominate hitters with the filthiest of stuff and pile up the strikeouts, or you can let the hitters put the ball in play and hope your fielders do their thing. Yes, there's a spectrum involved here, and plenty of overlap, but basically those are the two realities. Pitchers in the first category tend to charge a hefty price for their skills, and pitchers on the extreme opposite end of the scale tend to become cheap Fifth Starter options. 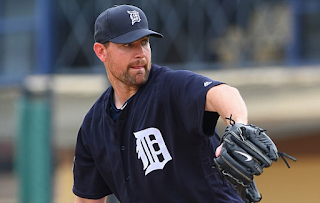 If you watched either of Mike Pelfrey's first two outings for the Tigers in 2016, you know exactly which of those two categories he belongs in. Friday's outing against the Houston Astros was a study in how to give up the fewest amount of runs in the most horrific way possible. In the end, Pelfrey went six full innings and only gave up one single, solitary earned run, on his way to picking up his second straight loss of the season. The thing is, even if the Tigers had scored a few runs and won that game, anyone who watched that game would still have felt a little throw-uppey about Pelfrey's performance. On the one hand, he tossed a Quality Start (six or more innings with three runs or fewer surrendered). On the other hand, [censored] [censored] [censored] with the [censored] backwards [censored] [censored] barbecued and salted [censored]. The fanbase responded to this outing by either doubling down on the "WURST SIGNING EVAR" rhetoric, or being appreciative that the back-of-the-rotation guy actually kept the Tigers in that game. The offense couldn't score any runs against Dallas Keuchel, and they lost 1-0, which isn't the worst possible outcome, if we're being realistic. What are we to make of Mike Pelfrey? You have questions, the guy next to you at the bar has questions, your nearest relatives are texting you with questions. Fortunately, I have answers. Is Pelfrey ever going to get his strikeout rate up? Hahaha! Just kidding. There are plenty of pitchers who aren't high-strikeout guys who have decent success. You've got guys like Clayton Kershaw, Max Scherzer, Noah Syndergaard, and Jose Fernandez who all strike out more than a batter per inning, and those are your aces. Then you've got your guys like Mike Leake, R.A. Dickey, Brett Oberholtzer, and Jarred Cosart who all keep their ERA+ above average while getting closer to five or six strikeouts per nine innings. For his career, Mike Pelfrey has averaged about six innings per outing, and using that as a baseline, he strikes out about three batters per game. He's just not a guy who gets a lot of K's, and that's a fact we're all going to have to embrace. So you're saying all of his games are going to look like Friday's game against Houston? No, not at all. Just because he doesn't pile up a ton of strikeouts doesn't mean he can't throw strikes. Among active pitchers since 2000, the guys who throw the most strikes are the usual suspects, who sit around the 67 percent mark: Jacob deGrom, Jose Fernandez, Corey Kluber, Masahiro Tanaka, et al. A few notches below that, you'll find Mike Pelfrey, averaging around a 61 percent strike rate. That's why his career walk rate is at 8 percent, or three walks per nine innings. For a guy like Pelfrey, who normally throws about six innings per game, that boils down to about two walks per outing. 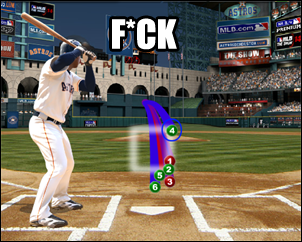 If you want to pin-point the problem in the game against Houston, it's that he gave up six walks. Yes, if you're drinking enough beer. If you're not, then at least appreciate the fact that he's only ever given up six walks in a game one other time in his entire career (2013). Let's call it an anomaly and move on. Is that really an anomaly, though? Why so many walks in Friday's game? If you watched that game, you saw two things: you saw Pelfrey struggling with his command, and you saw that problem being compounded by the fact that he was getting squeezed pretty hard by the home plate ump. Mike Pelfrey just doesn't have that kind of margin for error. That's ridiculous. 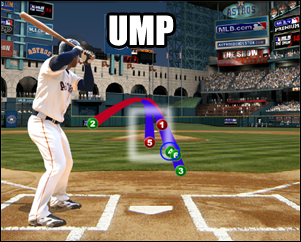 Why don't we have robots calling balls and strikes yet? Because then none of us would be able to complain about Joe West. You can't seriously want to live in that kind of world. So what's Pelfrey's ceiling then? It's the floor just above his head. Idiot. I meant, what's the best we can expect from him? Ideally, you'd see more innings like the sixth inning that he pitched against Houston. He got two ground outs and a strikeout, setting the Astros down in order on eight pitches. If he can do that with a bit more regularity, you'll see him throw some complete games this year. He got several double plays on Friday. Is that good or bad? That depends. When you order a tomato-avocado grilled cheese sandwich and they forget the avocado, but unexpectedly add bacon, do you complain and send the sandwich back? The fact that Pelfrey got himself into some situations where he needed a double play is just part of life with Pelfrey. That's why he didn't get a seven-year, $300 million contract. On the other hand, if your fifth starter is going to get himself into spots where he needs double plays to get out of trouble, wouldn't you rather have the guy who's regularly been among the top double play inducers? The glass is half full. Drink up. Is Mike Pelfrey really just Alfredo Simon 2.0? Pelfrey gets more ground balls than Alfredo Simon, gives up fewer fly balls, has a lower fly-ball-to-home-run ratio, has a higher WAR, and -- if you prefer the old-timey baseball card stats -- posted a lower ERA than Simon in 2015, even though Simon had the far superior defense behind him. Alfredo Simon averages 1.10 home runs per outing, and Pelfrey is closer to 0.46 home runs per outing. Do not compare these two pitchers. You're better than that. So what should I expect out of Pelfrey going forward, then? He will almost certainly be better, on a game to game basis, than what you've seen in his first two outings. Yes, he'll allow more baserunners that you or I will be comfortable with, but let's face it: you and I want perfect 1-2-3 innings out of every pitcher, every inning, every game. Pelfrey won't dazzle you with a dozen strikeouts per game, but he won't normally walk a ton of batters either, and he'll get those ground ball outs and double plays when he needs to. He won't be a particularly "pretty" pitcher, but on balance, he'll get the job done more often than not. Friday's outing was not pretty at all, but if he repeated that exact same outing -- six full innings and one earned run, even at the cost of lots of baserunners -- I would absolutely accept that for the rest of the season, because the Tigers will win most of those games. And in the end, that's all we're after. Wins, wins, and more wins. If the Tigers make another postseason run in 2016, being partly carried there by lots of ugly-but-effective starts from Pelfrey, nobody is going to complain except the chuckleheads who always complain that the Tigers didn't win the division by at least 20 games.